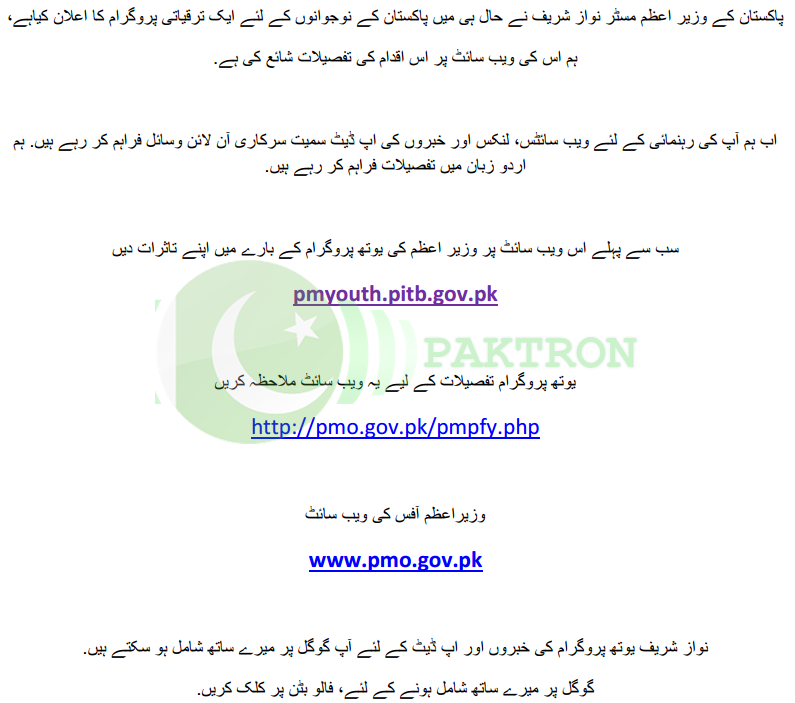 Prime Minister of Pakistan Mr. Nawaz Sharif has recently announced a development program for the youth of Pakistan, the program is named as PM Youth Program, we have published the details of this initiative on this website. Now we are providing the official online resources including websites, links and news updates for your guidance. We are also providing the details in Urdu language. Keep reading for detailed information. For Nawaz Sharif Youth Program news and updates you can join me on Google+ by clicking the follow button.